I am a Senior Software Engineer at Ignite Systems, working with .NET and modern web technologies. Also a keen runner, cyclist and footballer. Media of Things (MoT) is a tool for on-location media productions. MoT enables practical and flexible generation of sensor based point-of-capture metadata. Exploring how embedded ubiquitous sensing technologies such as the Internet of Things can be leveraged to produce context rich, time sequenced metadata in a production studio. This work is has been published as a full paper at CHI 18' and the system has been made Open-Source. 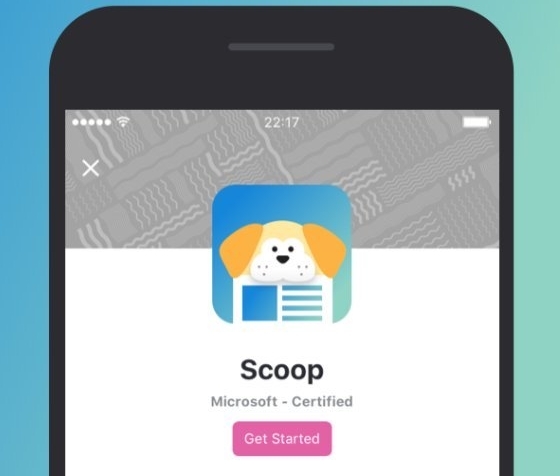 During my summer internship at Microsoft Research in 2016 I worked on the Scoop project with Skype. We investigated methods to produce event-wide coordination and curation of live streams. My research project focussed on coordination of streamers pre- and during an event, allowing streamers to volunteer coverage of a particular event as well as enabling viewers to express interest in an event to encourage more live-stream coverage. We also investigated a means to facilitate chat message communication at scale with feedback to a single or multiple streamers (full paper published at CHI 17'). This project formed my UG dissertation during the final year of my degree. We present a system for adding expressiveness to existing touch-based devices using a wrist-mounted IMU by utilising information about the hand movement before during and after the touch. This work was published at CHI 16' in San Jose as a full paper, along with an Interactivity Demo and Video Showcase. This work has been made Open-Source. I am working on the next generation OpenMovement AxLE logging accelerometer. Following on from the previous OpenMovement AX3 logger we are building a new Bluetooth LE version. I am building the Open-Source sync client, built in Xamarin Forms with iOS and Android support. This client will support general configuration, data syncing and firmware updating. We hope to use this device on a range of projects within our lab and beyond collecting data which is non-proprietary and open to all. I am working with the BBC on facilitating the production of Object-based Broadcasting media. We are using sensors (accelerometers, rfid, position through bluetooth and IoT appliances) to label actions within a production enabling us to produce detailed meta-data describing a scene. We hope to use this information to realize the exciting possibilities for Object-based Broadcasting outlined by the BBC in a blog post and white-paper. EDGE-SENSE is technology developed by Hawk-Eye in collaboration with Open Lab, Newcastle University. Using a wireless accelerometer attached to a cricket bat, EDGE-SENSE detects if a batsman has 'edged' the ball and been caught out. This work has been showcased in articles for the Times newspaper and Sky Sports News. We are currently developing this technology for application at club cricket level and for broadcast.